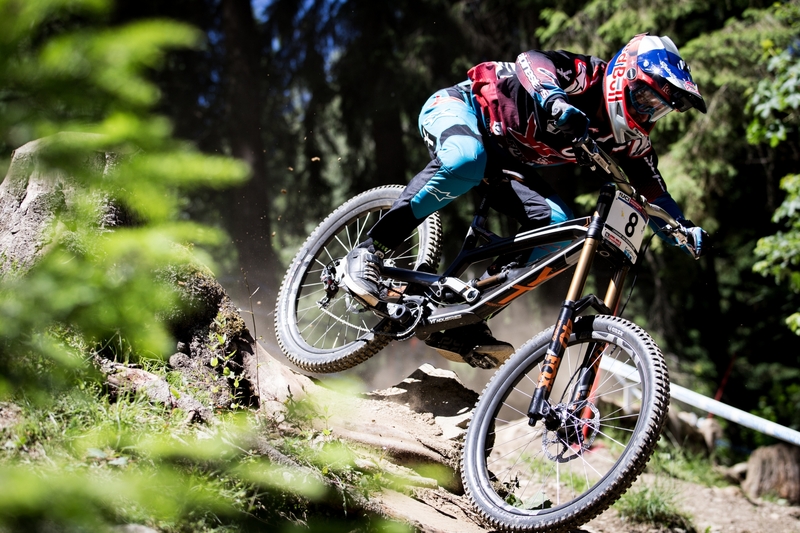 After qualifying fastest yesterday on the super quick Leogang track, Aaron Gwin laid down a brilliant final run here today to take his first World Cup win of the season, and his 3rd for The YT Mob. Scoring the maximum 250 points from this weekend sees Aaron move all the way up to 2nd place in the overall series, just 38 points behind current leader Greg Minnaar. 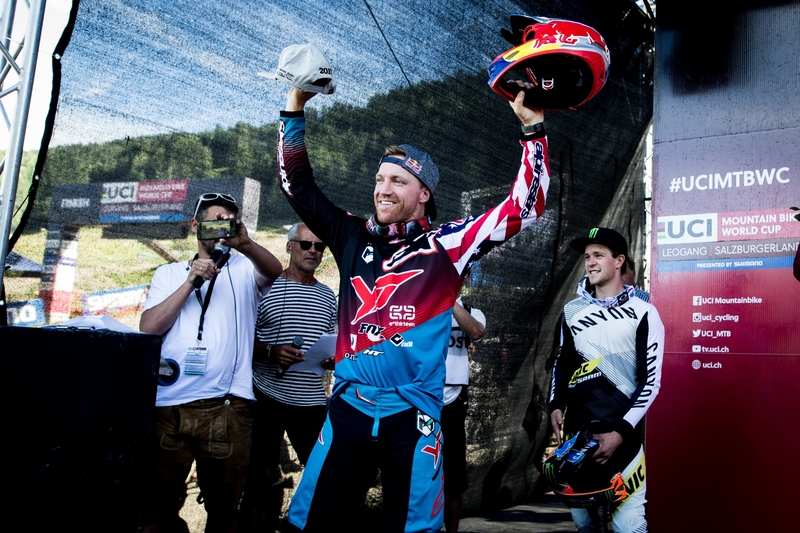 Aaron�s win comes 364 days since his last World Cup win, which was also here in Leogang, a small drought the Californian has been eager to end. This win not only means he has 17 World Cup race wins to his name, equal to Steve Peat and 2nd only to Greg Minnaar, but he won his third Leogang World Cup race in a row, putting his name firmly in the record books at the venue. With blazing sunshine making for exciting racing and a record Leogang crowd, the day couldn�t have gone better for The YT Mob lead rider. What a weekend! Enjoyed every day of my time here in Leogang this week. Felt great on the track from my first run on Friday and I was really excited for race day. So happy to throw down a solid run and get a win. I�m feelin� faster and stronger every week right now, stoked for the rest of the season! Practice and qualifying saw a lot of crashes, some of them spectacular, others causing injury to top riders. Aaron�s team mate Neko Mulally suffered a crash on the 1st day of practice after catching his front wheel on the landing lip after jumping a small creek, and he hit the ground hard. He injured his wrist, and it remained painful and less mobile for the rest of the week. After sitting out the rest of practice on day 1, he trained with Aaron on day 2 and got up to speed for qualifying, just missing out on points in 26th place. On race day however it was tough to get up to full speed in some sections and despite a strong middle section, Neko finished in 35th, and moved to 11th in the overall series. Super happy for Aaron this weekend! It�s awesome to see your friends achieve their goals. 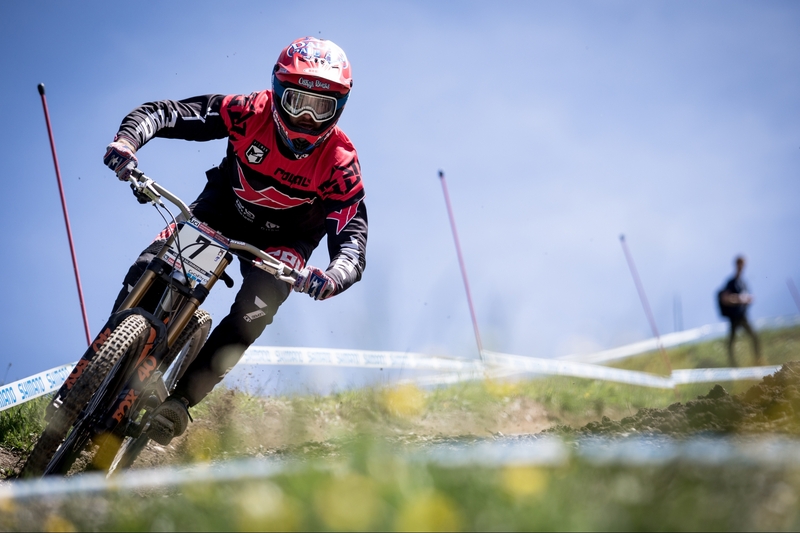 My weekend was a challenge as I rode with a sore wrist and had limited practice, but all in all I�m happy to leave Leogang in a position to race at my best in Andorra. I�ve had a lot of good things happening to me lately and this small set back is just a minor bump in the road.